Our European tour was such a great adventure! We are excited for taking our music to some of the most beautiful places in the world. Check out the pictures. Midwest Dilemma's River City Folk session with Tom May will be airing on NPR stations all over the U.S. and beyond starting August 15! See the station list on our facebook page. We are now on pandora.com! 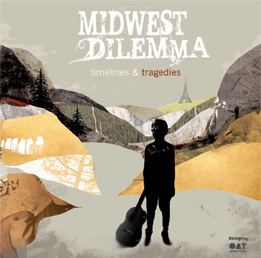 Please go and set Midwest Dilemma as a station and listen to who they pair us up with. Neat online radio! BUY CD & DIGITAL ONLINE!